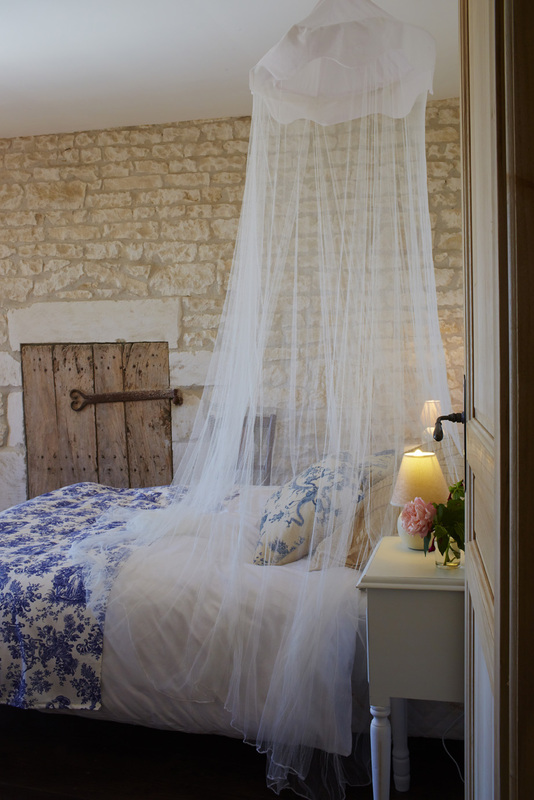 This is a beautiful gite of 84 square metres, as the name suggests it is stylish and quirky……..
Downstairs is a magnificent 3.5 metre high and 4 metre wide feature window, dressed with muslin from Bombay the light is diffused and privacy assured. 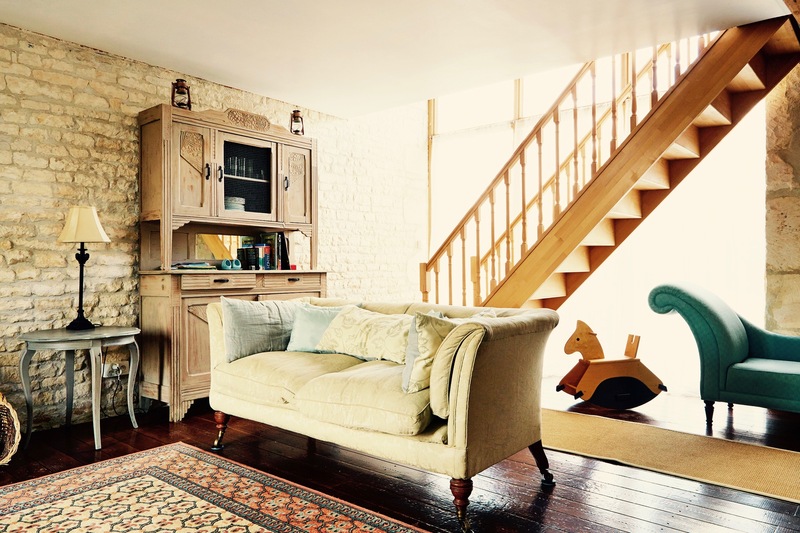 The living area has two sofas looking onto French doors to private terrace and garden with shade sail, outdoor dining and BBQ. Magnificent South views over vines to the forest. Flat screen HDTV with UK Freesat and DVD with ipod docking. 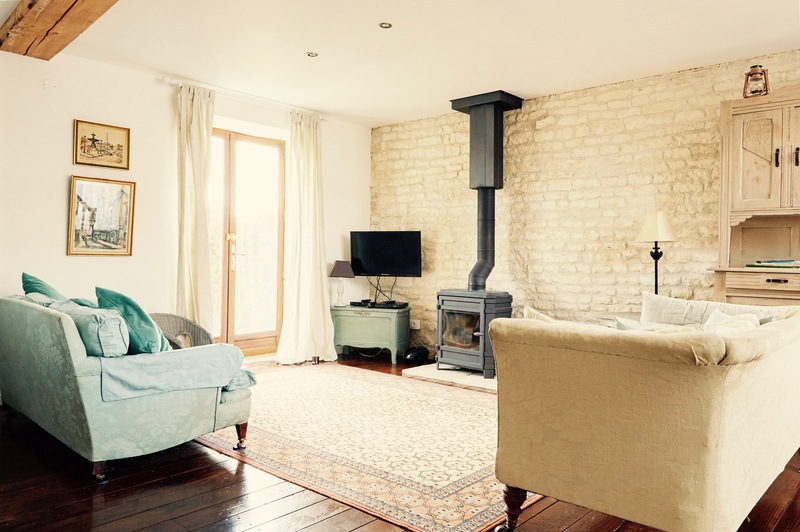 A cosy wood burner ensures cosy evenings out of season. The well equipped kitchen has a fridge freezer, range oven and hob, dishwasher, microwave, Tassimo coffee machine and washing machine. There is of course a clothes dryer, ironing board, iron, vacum and hairdryer. 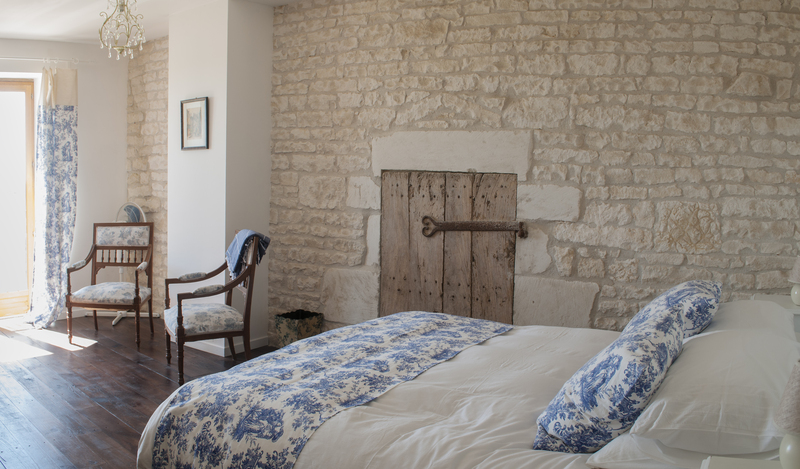 The master bedroom has a king size bed, private shower room and Juliet balcony with South views over open countryside. 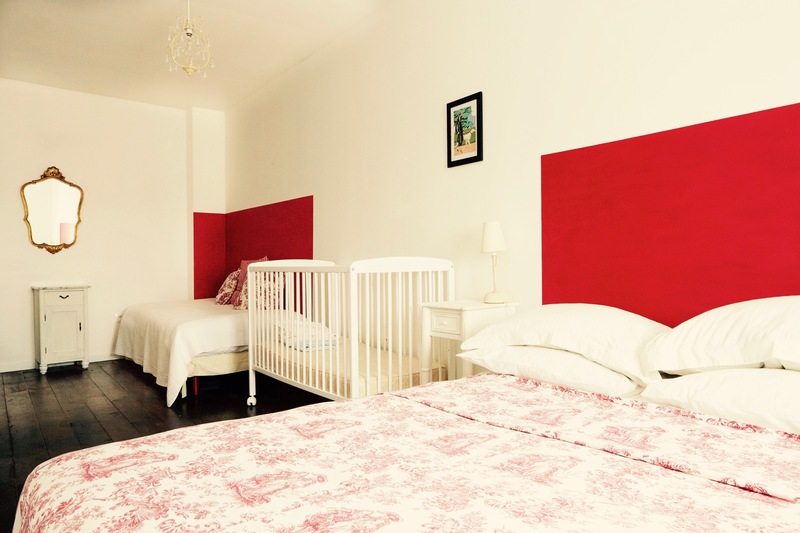 The second bedroom had a double bed, single, cot and en suite shower room.